Led Zeppelin was an English rock band that was formed in 1968. They are regarded as one of the most important bands of their genre and one of the most popular bands of the 1970s. 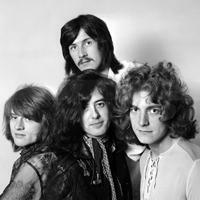 The band lineup was: Jimmy Page (guitar), John Paul Jones (bass guitar), Robert Plant (vocals), and John Bonham (drums). They incorporated many sounds into their music, such as blues, rock and roll, soul, Celtic, Arab, and Indian music, folk, country, and even reggae. To date they have sold over 300 million albums worldwide. Vote and help us decide which Led Zeppelin albums are the greatest.